Philippines’ award-winning advocacy film “Ang Araw sa Likod Mo” written and directed by Dominic P. Nuesa is a gripping story of two brothers reunited despite being separated by conflicting beliefs. 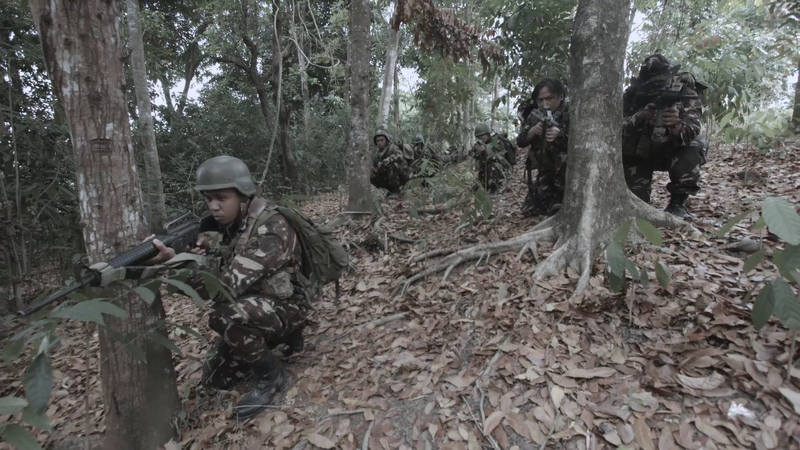 The movie also tackles the heroism of Filipino soldiers in the thick of a four-decade old war against terrorism starring a talented cast that includes Ping Medina, Bong Cabrera and Mike Liwag. “Ang Araw sa Likod Mo” is Nuesa’s full-length film feature debut and has been nominated in the upcoming prestigious Nice International Awards (2017) in the most coveted categories such as Best Director – Dominic Carlo P. Nuesa, Best Lead Actor – Mike Liwag, Best Supporting Actor – Ping Medina, Best Editing – JavierAbola and Best Sound – Greg Rodriguez III. Produced by Nuesa’s An Earth Below Productions, “Ang Araw sa Likod Mo”has already won five international awards – Best Film in Auckland International Film Festival, Global Award Winner at the Europe-based ARFF (Around Films International Film Festival), and Awards of Recognition for Feature Length, Best Actor (Bong Cabrera) and Best Supporting Actor (Mike Liwag) at the US-based Accolade Global Film Competition. 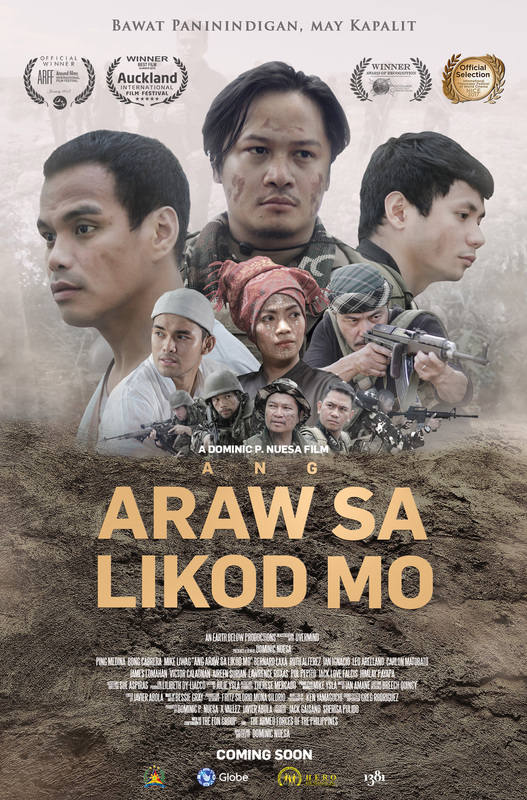 Inspired by the real stories of Special Operations soldiers in the country known as the Philippine Scout Rangers, “Ang Araw sa Likod Mo” is an intense film filled with raw action that introduces brothers Jamiluddin (Cabrera) and Omar (Liwag) along with Sgt. Benjie Calayan (Medina) within the terrorist infested island in Southern Philippines. Opening very soon in local theaters nationwide this May 24, majority of the proceeds from the box-office receipts of “Ang Araw sa Likod Mo” will be donated to Help Educate and Rear Orphans (HERO) Foundation, Inc. The foundation aims to uplift the families of soldiers from the Armed Forces of the Philippines who were killed or incapacitated in the line of duty by providing educational assistance to their children to obtain a college degree or vocational course. In return, this will help them to have a wider range of opportunities in their future and our society. By taking care of their children, HERO Foundation salutes the Filipino soldiers for their sacrifices. Director Dominic Nuesa is also an avid supporter of HERO Foundation, Inc. His support to HERO Foundation started when he directed a corporate video for the organization. From this project, he met the scholars of HERO Foundation and was inspired to tell their stories into film. He was inspired by their stories and was compelled to help raise awareness. It then became his mission to tell fellow countrymen that the HERO Foundation needs the nation’s help, and that their fathers or mothers, both soldier and civilian, need to be honored. “Ang Araw sa Likod Mo” is a testament to heroism and sacrifice, and challenges us to be more knowledgeable and understanding when trying to make sense of violence and national security. Fighting for a cause, or making a stand, one eventually must sacrifice something and ultimately asks if it was worth it.